Grays robber who stole from three people jailed for three years. A GRAYS robber who stole from three people has been jailed for three years. Joseph Daniel, 19, grabbed a 17-year-old girl around the neck in Orsett Road, Grays, on 2 October last year and demanded her phone. She handed it over and he ran off. Officers searched the area and about 45 minutes later the victim saw Daniel and ran back to tell them. He ran off from officers but was caught in a garden in Dell Road. Following his arrest, he was found to match the description of a suspect involved in two other street robberies that had happened on 7 September. Two men on a moped threatened a 29-year-old man in Blackshots Playing Field and took his cigarettes. About five hours later, a 60-year-old man was walking through Hangmans Woods, Blackshots, when a man threatened him with a knife and demanded money. He got away with £12. 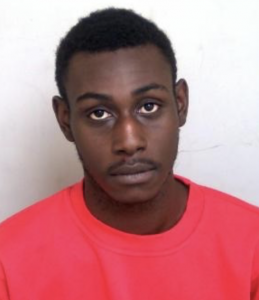 Daniel, of Sabina Road, Grays, was charged with three counts of robbery, which he admitted at Basildon Crown Court on 21 December. He was sentenced on Friday, 1 February to three years for each offence, to run concurrently. Investigating officer PC Owen Clements, of Grays CID, said: “It’s a fitting sentence for the offences committed by this young man, but it does not detract from the fear he instilled in the three victims, whose ages ranged from 17 to 60. “On all occasions, he either intimated he was in possession of, or was in possession of, a knife. “His words and actions such as threatening to stab a 17-year-old girl if she didn’t hand over her phone shows he had no remorse for those victims at the time he was committing those crimes. One Response to "Grays robber who stole from three people jailed for three years." So 3 years for each offence =9 years and he is going to do 3 years ?? ?